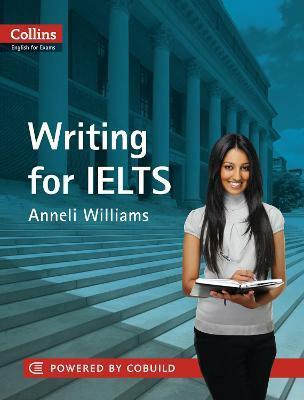 Collins Writing for IELTS has been specially created for learners of English who plan to take the Academic IELTS exam to demonstrate that they have the required ability to communicate effectively in English at university. It is ideal for learners with band score 5 - 5.5 who are aiming for band score 6 or higher on the IELTS test (CEF level B1 and above). Anneli Williams has taught English for academic purposes at university level in the UK for over 15 years, developing extensive experience assessing and preparing candidates for the IELTS examination.